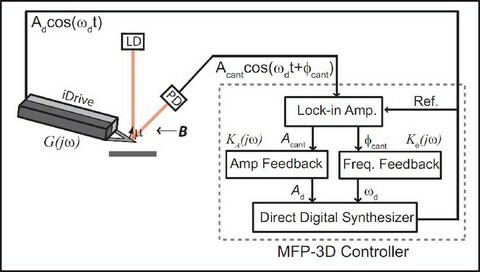 The development of FM-AFM for the Asylum Research AFM controller has enabled an integrated software based implementation without the need for any additional hardware. Moreover the thorough characterisation of the feedback loops and signal pathways employed in the system has enabled the use of an automated gain calculation algorithm which greatly simplifies experimental parameter setup. No additional hardware is required which enables FM-AFM to be added to all Asylum Research systems. The user friendy software interface and automated gain calculation allows people who are not experts in the field of FM-AFM to use the technique successfully without the need for extensive training. Asylum Research will be shipping Digital FM with their Cypher AFMs from March 2010.